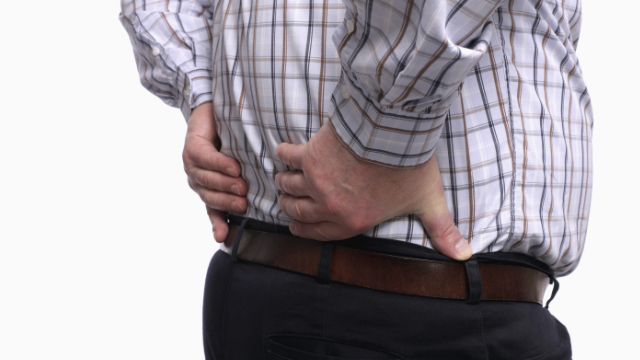 Low back pain (LBP) is the most common painful condition in the U.S. Recent statistics have shown that about 25% of the population has reported being affected by LBP for at least one full day within the past three months, and LBP is therefore also listed as the number one contributor to years lived with a disability in the country. The guidelines for treating LBP not related to a more serious cause of pain is to at first take non-steroidal anti-inflammatory drugs (NSAIDs) while avoiding imaging tests like X-rays and MRIs. If patients do not improve, the next step is to undergo treatments like physical therapy and exercise therapy rather than being treated with prescription medications. But despite these guidelines, far too many patients are still being prescribed drugs like opioids and being sent to have advanced imaging tests for their LBP, while not nearly enough are taking advantage of services like physical therapy. Research has suggested that seeing a physical therapist early may reduce patients’ usage of healthcare services and costs by helping them to recover without dangerous or unnecessary interventions; however, there are no large-scale studies that have compared healthcare costs between patients seeing a physical therapist first compared to other health providers. Therefore, a review was conducted to investigate these values and determine what the advantages are of seeing a physical therapist first for LBP. To conduct the review, investigators searched a private health insurance database with claims-related information on 50 million individuals for patients who had a new diagnosis of LBP over a three-year span. Patients who had a prior history of LBP, back surgery or any other serious conditions were excluded. This search led to 148,866 patients fitting the necessary criteria and serving as the study sample. These patients were then categorized into three groups depending on their physical therapy (PT) access: 1) “PT First,” which means they saw a physical therapist before seeing any other medical professional, 2) “PT Later,” meaning they eventually visited a physical therapist at some point, but not initially, and 3) “No PT,” meaning they never visited a physical therapist. In some cases, groups 1 and 2 were placed together for statistical purposes. Researchers then analyzed data between these groups to gauge the effect of having physical therapy at any point for LBP. Based on the data collected, it was found that the incidence rate of LBP was 82.7 for every 1,000 patients. Of the patients who had LBP, about 80% had no physical therapy, while 8.7% saw a physical therapist first and 11.5% saw a physical therapist later. For those in the PT Later group, the average amount of time they waited to do so was 38.3 days. When compared to one another, it was found that patients in the PT First group had significantly lower opioid prescription rates, advanced imaging tests and visits to the emergency department (ED) compared to those in the PT Later and No PT groups. When the PT First and PT Later groups were compared directly, these values were slightly lower but still significant in favor of PT First. In addition, overall healthcare costs were significantly lower for patients in the PT First group over the PT Later and No PT groups, which was based on outpatient, pharmacy and out-of-pocket costs. The PT Later group was generally found to have the highest rates and average costs across all categories. These findings clearly show that seeing a physical therapist as the first line of treatment for LBP comes with several advantages over seeing one later or not at all. Patients who do so experience lower overall healthcare costs while also reducing their risk for being prescribed drugs like opioids, having unnecessary imaging tests or going to the ED. Therefore, individuals who are currently dealing with an episode of LBP are strongly encouraged to see a physical therapist if they have not already done so. Now is also a particularly good time to schedule an appointment, especially for those who have already met their deductible or out of pocket maximum for 2018. If this is the case, insurance might cover the physical therapy visits for the rest of the year before healthcare deductibles renew in January. Copyright 2019, Sports Therapy And Rehabilitation All Rights Reserved. - Powered by E-Rehab.